Arabic, Georgian and Syriac manuscripts from St. Catherine's Monastery Mount Sinai (Egypt) are now available on e-corpus. This work carried out by the Université Catholique de Louvain within the framework of project Manumed (digitization of microfilm); detailed records are being captured with titles and incipits etc. Documents on the history of Egypt: E-corpus just received a specific endowment from a patron to digitize 50 000 pages of documents on the history of Egypt (from the pharaonic periode to the present); if you have documents or collections that you would like digitized within this context you can contact us. These documents will be available on e-corpus and in the "virtual library of the history of Egypt" managed by e-corpus. Added to the TLG since early February 2010. 5023 SCHOLIA IN EURIPIDEM Schol. 0071 PERIPLUS MARIS ERYTHRAEI Geogr. 2702 Michael PSELLUS Epist., Hagiogr., Phil., Polyhist. et Theol. 2876 THEODORUS Biogr. et Hagiogr. 3205 THEODORUS II DUCAS LASCARIS Rhet. et Theol. 3369 DANIEL SCETIOTA Biogr. et Hagiogr. 4042 SOPHRONIUS Epigr., Scr. Eccl. et Soph. 4092 Gregorius PARDUS Gramm. et Rhet. 5122 VITA LEONIS CATANIAE Biogr. et Hagiogr. 5123 VITA S. AUXENTII Hagiogr. 5124 VITA S. PELAGIAE Hagiogr. 5125 VITAE S. DANIELIS STYLITAE Biogr. et Hagiogr. 5126 VITA SANCTI GEORGII CHOZEBITAE Hagiogr. 5127 VITAE S. ALYPII STYLITAE Hagiogr. 5128 VITAE S. LUCAE STYLITAE Hagiogr. 9039 Franciscus SCUFUS Epist. et Rhet. 4419 ANONYMA EROTICA BYZANTINA Narr. Fict. 4422 LIBISTRUS ET RHODAMNE Narr. Fict. 9034 ANONYMA DE MUSICA ECCLESIASTICA Eccl. et Mus. 9037 LAMENTATIONES DE CAPTIVATIONE CONSTANTINOPOLIS Chronogr. et Hist. Welcome to the Luwian forum. This is meant as a meeting place, to exchange news, ideas, share publication details etc. Add anything you like via the comment section or send me an email if you'd like to write a new post. We'll begin with a list of Bronze Age Inscriptions and their publication details. Each text will form a single post to facilitate adding comments to it. They'll appear in no particular order. Please help fill the gaps! The first independent English language publication covering Egypt in general and especially Luxor. With views, news and reviews concerning all aspects of Egyptian life, Culture, people and history as an aid to tourists and ex-pats alike. You can preview the new redesign of ETANA and Abzu at the beta site. You'll find the link at the ETANA home page. The Morgan's seals collection is one of the most distinguished in the United States and among the best known in the world. Generally only an inch in height, engraved seals are among the smallest objects ever produced by sculptors. They were carved in great detail with simple tools on semiprecious stones. These engraved objects provide a continuous artistic and chronological sequence of more than three thousand years. The seals collection covers all the significant styles of Mesopotamian engraving from the end of the fifth millennium B.C. to the fourth century B.C. as well as most of the styles of other countries of the ancient Near East. Areas of particular strength include seals of the second millennium B.C. made outside southern Mesopotamia (Cappadocia, Syria, and Mitannia) as well as Old Babylonian and Neo-Assyrian seals. The Middle Assyrian seals are among the finest in any collection. Pierpont Morgan collected nearly three thousand cuneiform tablets, the bulk of which are now in the Yale Babylonian Collection, which he founded. The Morgan's collection also includes cuneiform tablets and a few outstanding art objects from the ancient Near East. Between 1885 and 1908, the American collector William Hayes Ward assembled, probably on Pierpont Morgan's behalf, a collection of 1,157 seals. This became the core of the Morgan's holdings. Two additional major gifts—the collection of Robert F. Kelley, given by his sister Caroline M. Burns in 1977, and that of Jonathan P. Rosen, given in 1986—have enhanced the Morgan's holdings in this area. 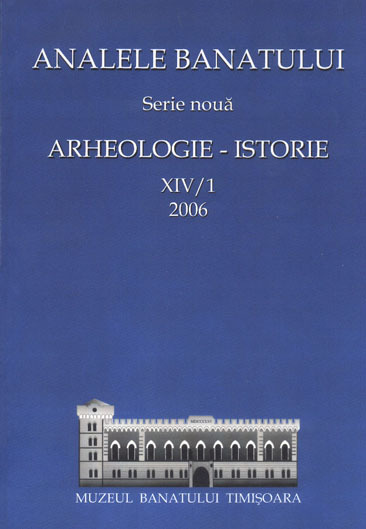 Acta historica et archaeologica mediaevalia (AHAM) (ISSN 0212-2960) és una revista el contingut de la qual respon al seu objectiu: donar a conèixer la tasca de recerca dels membres del Departament d'Història Medieval, Paleografia i Diplomàtica de la Universitat de Barcelona. Tanmateix és una revista de recerca oberta a tots els historiadors d'Història Medieval, tant nacionals com foranis, com es pot veure en el contingut de la mateixa des de la publicació del seu primer número fins a l'actual. El contingut de la revista està estructurat en diversos camps de recerca: "Fonts i Documents de l'Època Medieval", "Ciències i Tècniques Historiogràfiques", "Història de l'Època Medieval", "Arqueologia Medieval i Història de l'Art", "Miscel·lània" i "Regests" de llibres arribats a la redacció d'AHAM. Els articles o treballs es publiquen en qualsevulla llengua de la Comunitat Europea. Fins ara els idiomes en ús han estat: català, castellà, gallec, francès, italià i anglès. [While Aegaeum has been in the List of Open Access Journals in Ancient Studies since late 2009, it has not had it's own entry in AWOL before today]. 18 The Aegean and the Orient in the Second Millennium, Proceedings of the 50th Anniversary Symposium, University of Cincinnati, 18-20 April 1997. E.H. CLINE and D. HARRIS-CLINE, eds. an Open Access journal and is available free of charge or printing on demand is available at cost price. by stimulating discussion of relevant issues and concerns. information will be accessible in the future. 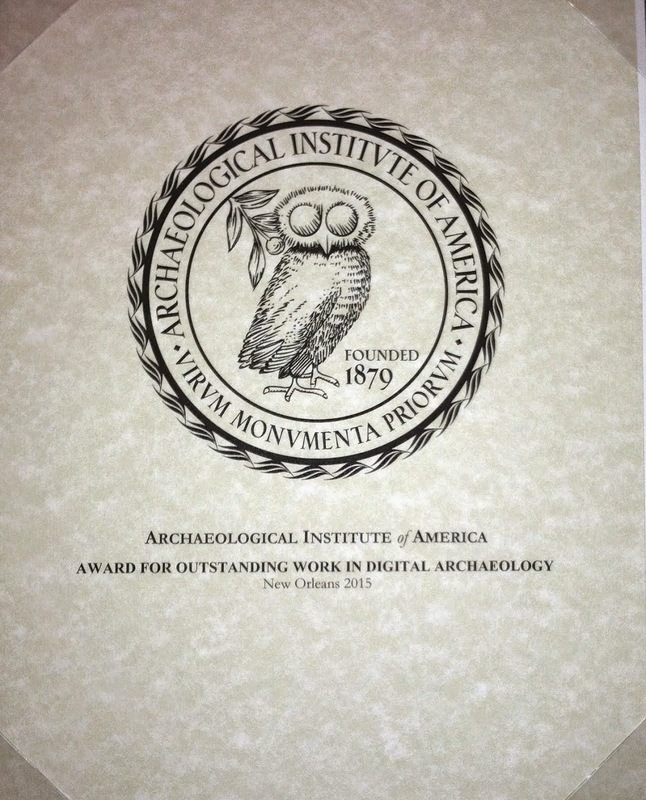 The International Council of Museums (ICOM) provided a special grant to get the Journal started. 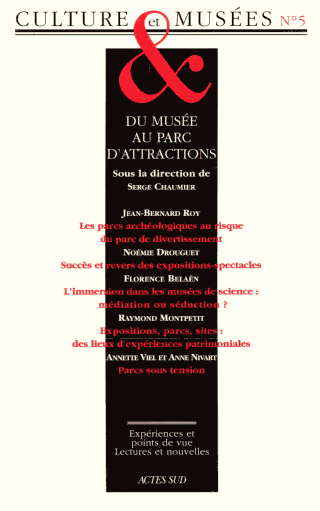 La revue Culture et Musées publie des travaux de recherche inédits sur les publics, les institutions et les médiations de la culture. Les contributions, regroupées autour d’un thème, font de chaque livraison un ouvrage collectif chargé d’approfondir une question vive et qui est placé, à ce titre, sous la direction d’un scientifique spécialiste. - Istoria culturii, muzeologie, istoriografie, cataloage, varia. 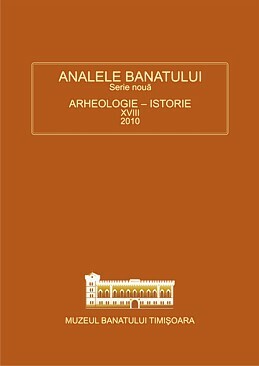 Most but not all of the articles in the following volumes are available as pdfs. The Babylonian Genesis: The Story of Creation. By Alexander Heidel. Originally published in 1951. The Gilgamesh Epic and Old Testament Parallels. By Alexander Heidel. Originally published in 1949. AWOL - The Ancient World Online - 2: The Oriental Institute Electronic Publications Initiative. We are very pleased to announce completion of an initial stage of collaboration between the Semitic Museum (SM), Harvard University, and the Andrew W. Mellon Foundation-supported research project "Creating a Sustainable Digital Cuneiform Library" (CSDCL). Under the general direction of the Cuneiform Digital Library Initiative (CDLI - Los Angeles/Berlin), CSDCL has over the past two years been involved in the digital capture, persistent archiving and free Internet dissemination of significant cuneiform collections world-wide. The over 4600 cuneiform artifacts of the Semitic Museum represent a very significant archive of texts in a major American collection--indeed, after the collections of Yale, the University of Pennsylvania and the University of Chicago, this is the fourth largest collection in the US, with, among other inscriptions of historical interest, a uniquely important group of legal texts from the middle of the 2nd millennium BC; a set of widely cited administrative documents from the 24th and 21st centuries BC; and a still largely unpublished archive from the period of Persian rule over Babylonia. In furtherance of a collaboration between members of the CDLI and Harvard academic staff, notably Benjamin Studevent-Hickman, and with the kind approval of Piotr Steinkeller and the assistance of James Armstrong, Lance Allred was able to commence scanning of the collection in May of 2009, and has since made several trips to Cambridge to continue his work. Following cataloguing, and fatcross-processing and cleaning of raw files in Los Angeles, initial images were posted to the CDLI website in July of the same year. While much of Dr. Allred's early work was dedicated to the capture of the important Nuzi collection of the SM, subsequent scanning sessions have begun with the systematic digitization of all texts without regard to their state of publication; these can now be viewed at http://cdli.ucla.edu/collections/harvard/harvard.html or by searching the CDLI database. Since September of 2009, this cooperation has been under the direct supervision of James Armstrong's successor, Dr. Adam Aja; with Dr. Aja's close collaboration, we have been able to reformat to CDLI standards the Museum's full cuneiform collection catalogue, and he has facilitated the creation and signing, by legal representatives of the President and Fellows of Harvard University and the Regents of the University of California, of an agreement of cooperation between the SM and the CDLI that went into effect on 23 April of 2010. From the beginning, SM viewed this effort as an opportunity to make available its cuneiform collection to the world-wide community of web researchers and informal learners. The agreement between Harvard and UCLA that lays out the SM/CDLI collaboration is designed to assist cuneiform specialists in the collation of existing publications, while at the same time providing general access to tablet images in conjunction with collated transliterations to lay the broadest possible foundation for integrative research by the scholarly community. We are confident that our adherence in this collaboration to the principles of free and open access best serves all in the Humanities, but particularly in the fields of dead language research that are dependent on the availability of primary source materials for their work. In opening to world-wide inspection cuneiform collections such as that located at Harvard, we believe, further, that humanists fulfill their curatorial responsibilities to permanently archive, and to make available to the public all such artifacts of shared world cultural heritage that are in their immediate or indirect care. 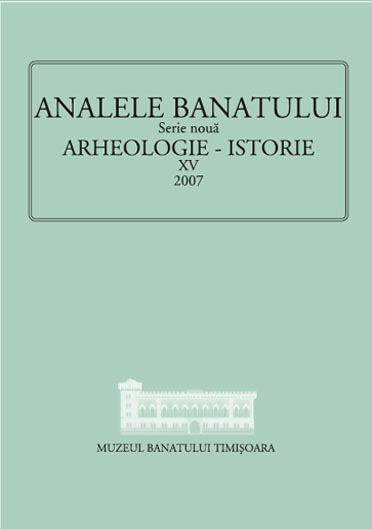 Tell Hamoukar, Volume 1. 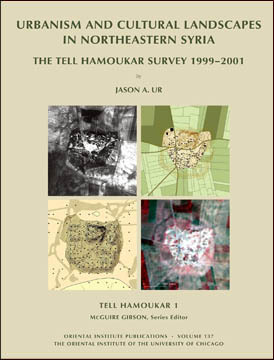 Urbanism and Cultural Landscapes in Northeastern Syria: The Tell Hamoukar Survey, 1999-2001. Tell Hamoukar is one of the largest Bronze Age sites in northern Mesopotamia. 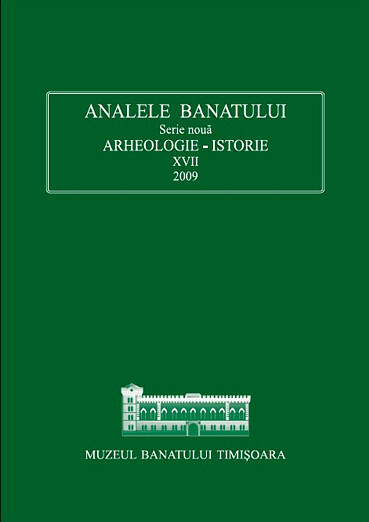 The present volume presents the results of three seasons of field survey and remote-sensing analysis at the site and its region. These studies were undertaken to address questions of urban origins, land use, and demographic trends through time. Site descriptions and settlement histories are presented for Hamoukar and fifty-nine other sites in its immediate hinterland over the last 8,000 years. The project paid close attention to the "off-site" landscape between sites and considered aspects of agricultural practices, land tenure, and patterns of movement. For each phase of occupation, the patterns of settlement and land use are contextualized within larger patterns of Mesopotamian history, with particular attention to the proto-urban fifth millennium B.C., the Uruk Expansion of the fourth millennium BC, the height of urbanism in the late third millennium, the impact of the Assyrian empire in the early first millennium BC, and the Abbasid landscape of the late first millennium AD. 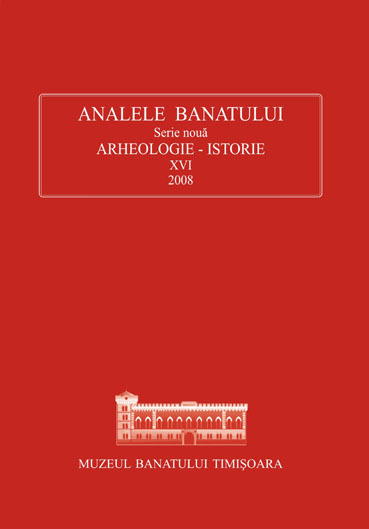 The volume also includes a description of the unparalleled landscape of tracks in the Upper Khabur basin of Hassake province, northeastern Syria. Through analysis of CORONA satellite photographs, over 6,000 kilometers of premodern trackways were identified and mapped, mostly dating to the late third millennium and early Islamic periods. This area of northern Mesopotamia is thus one of the best-preserved ancient landscapes of movement in the world. The volume's appendices describe the sixty sites, their surface assemblages, and the survey's ceramic typology. Pp. 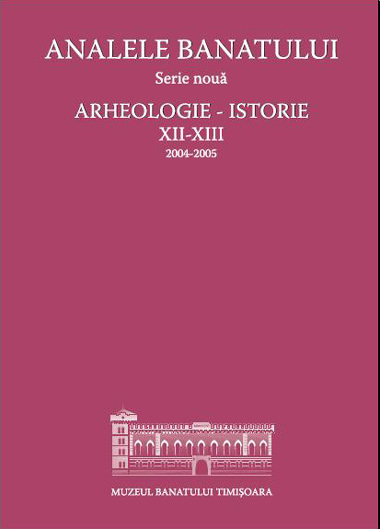 lxi + 384, includes Preface by McGuire Gibson and Arabic summary; 210 figures, 3 pocket maps, 74 tables. This journal used to be online at http://www.journalofbiblicalstudies.org/ but is not any more. It appears to be out of business. Fortunately it is still accessible via the Internet Archive's Wayback Machine, is a set of caches dated beweeen April 1, 2001 and August 22, 2008, with the most recently updated version listed as October 2, 2007. If you wrote for the journal, or if you've cited articles appearing in it, now might be a good time to harvest them. If and when JBS re-emerges, I'll update the links. be added to your Zotero library.